If you didn’t get enough Pokémon Go on your iOS or Android device, then how about on your Apple Watch? 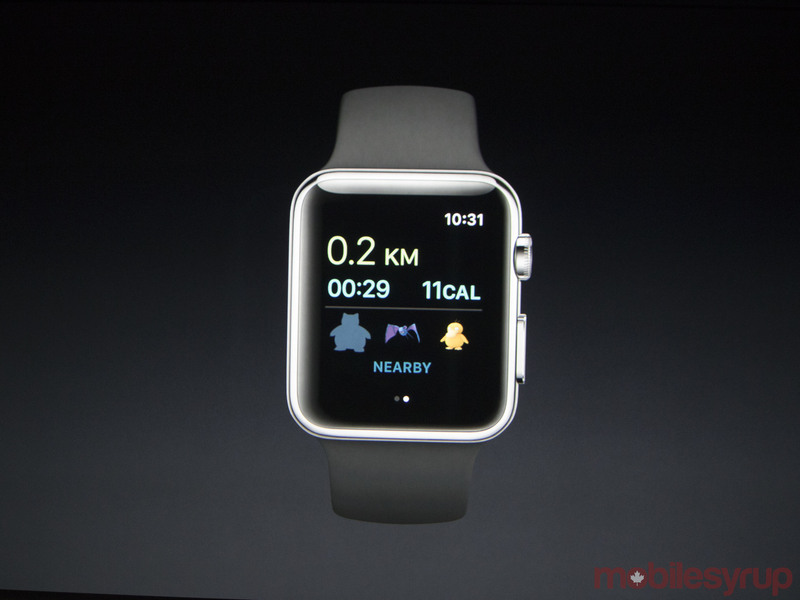 Yes, Pokémon Go is coming to the Apple Watch. During Apple’s keynote presentation, John Hanke, CEO of Niantic, the developer behind Pokemon Go, announced the popular game will make its way to Apple’s wearable sometime later this year. He also stated Pokémon Go has been downloaded over 500 million times around the world, which includes both the iOS and Android version. In addition, trainers have walked over 4.6 billion Kilometers while playing the game.